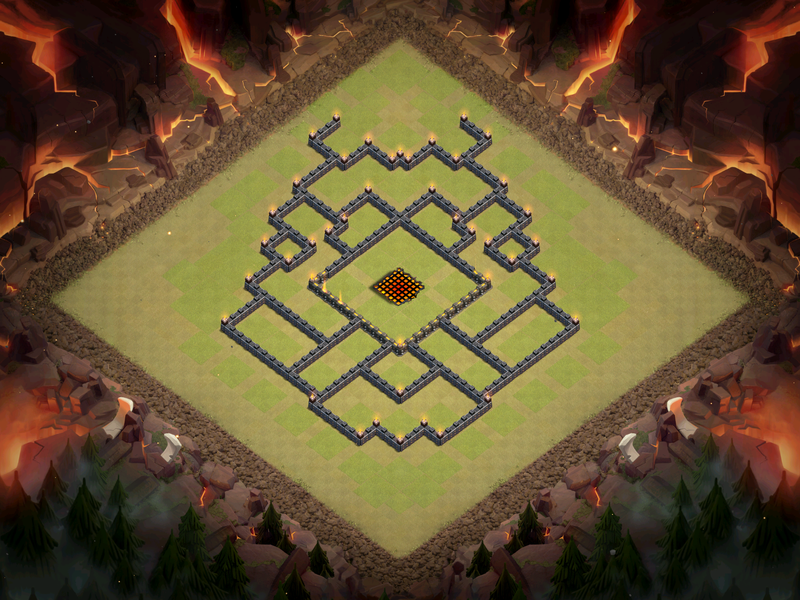 We are on our finally base design for November of 2016, and today will be the best TH10 base layouts in Clash of Clans. At Town Hall 10, you have a lot to build your base around, for both farming and war, so it must be able to counter a lot of strategies and prevent the two star at all costs! Lets go ahead and jump right into the bases. Once you become Town Hall 10 in Clash of Clans, all buildings and troops become a lot more expensive. Therefore, you need the best TH10 farming base in CoC, one that protects all your storages. In this base layout, the storages are very spread out and centralized, making it difficult to get much loot with a giant attack strategy. Giant bombs are near the storages in case miners or valks are able to get close enough to start taking shots. Town Hall 11s can still three star TH10s, despite big nerfs against swarm units. 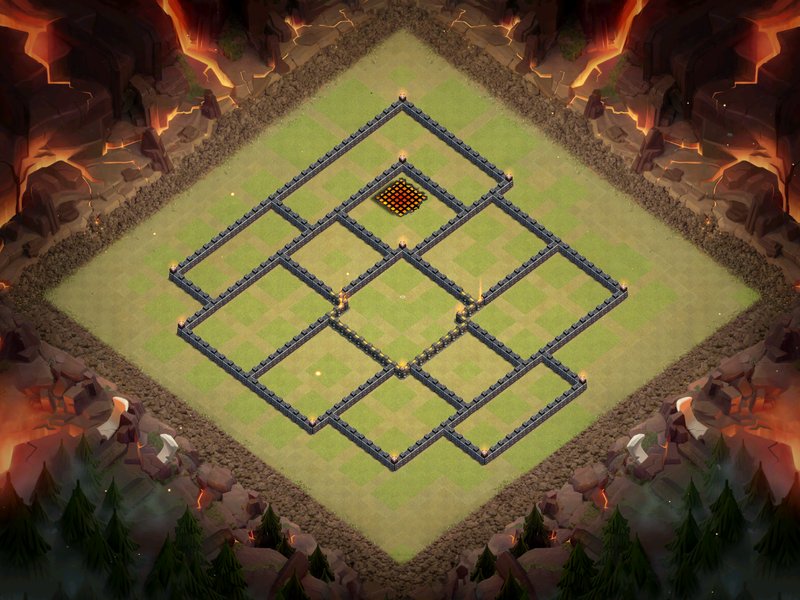 To really make sure you prevent the three star, you need an anti-three star base layout for November. The heroes and clan castle are smack dab in the middle of the base, making it difficult to lure them out. Also, it is extremely tough to get to the inferno towers, with a gap of 2 tiles protecting them. 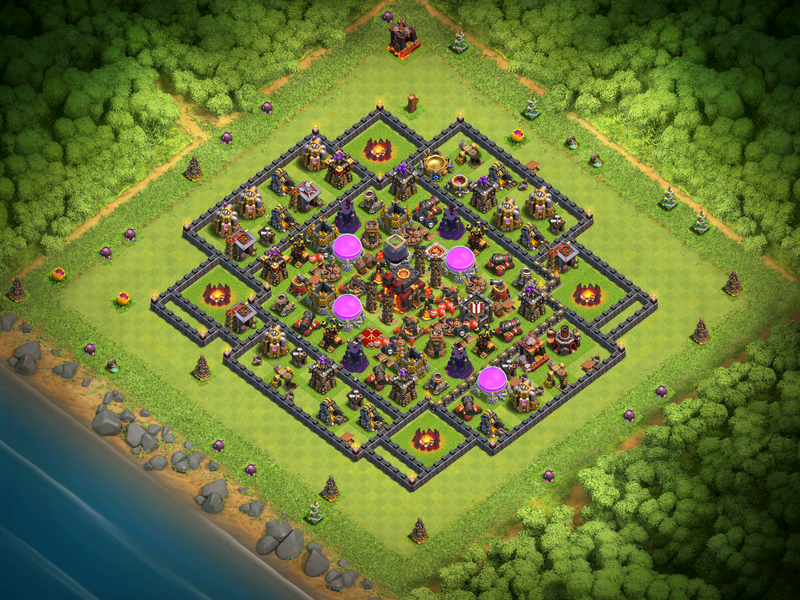 While it is easy to two star this Town Hall 10 layout, the whole goal is avoiding the 3 star. GoWiPe has made a major return in November for Clash of Clans due to new levels in the latest update. This base is packed together, making sure that the golem will have to go through many layers of walls in order to get to the Town Hall and ultimately the two star. Teslas toward the outside make it tough to attack from the sides leaving only the top as an option. 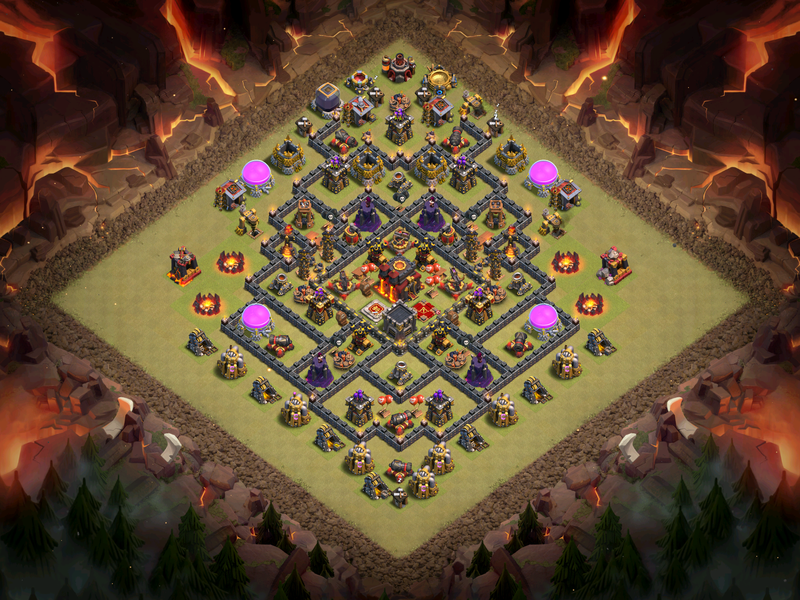 But before you can reach the TH, the heroes will intercept, making this the perfect anti-two star base against fellow Town Hall 10s. Thanks for reading guys! Clash Royale lovers, I will be back tomorrow with some Clash Royale articles; don’t worry! Once again thanks for reading and come back tomorrow for more content! 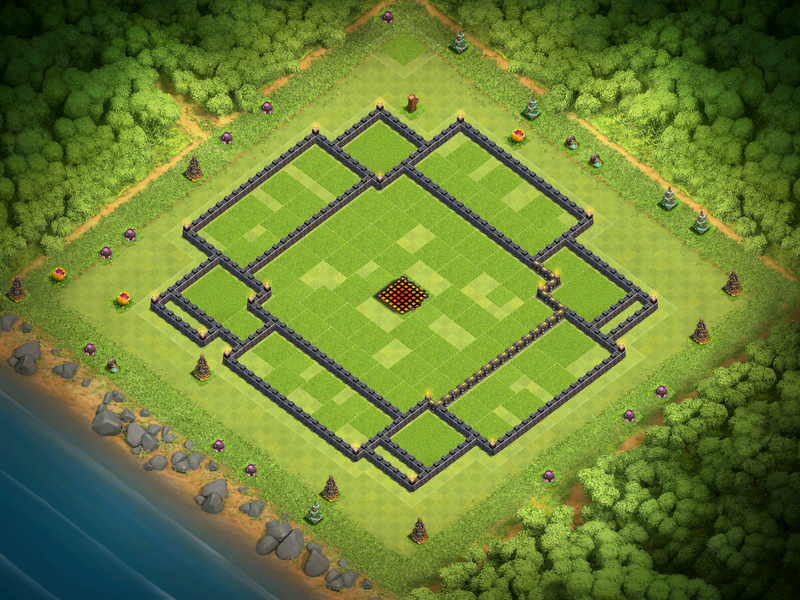 Pingback: Best Town Hall 10 Base Design for November 2016 | Clash of Clans Guide, Strategies, Tricks and More!